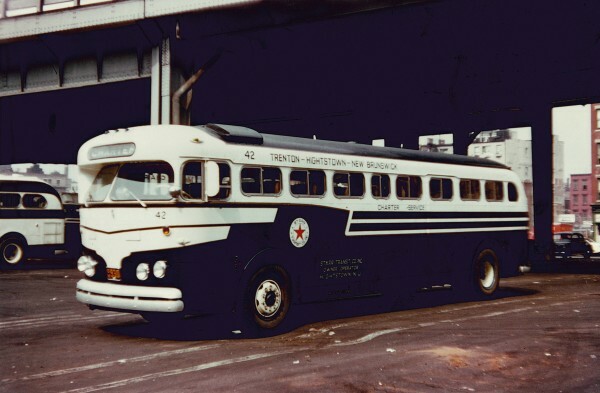 Starr Tours began its long history in 1947 with two transit buses that provided route service between Trenton and Hightstown, NJ. 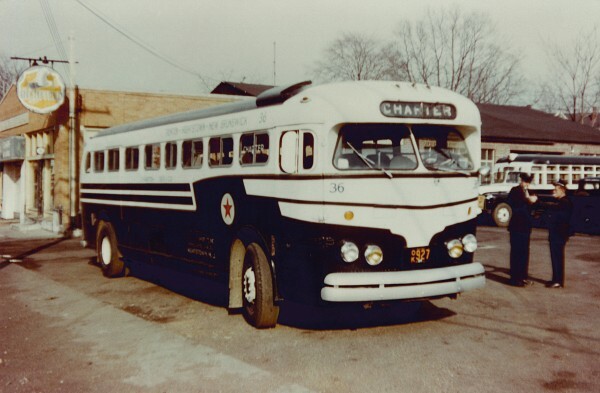 It was from these early beginnings that Starr grew to become one of the largest privately owned tour and motorcoach companies in America. The 50s era was responsible for Starr’s growth of its charter fleet as air-conditioning and on-board lavatories were introduced into its fleet of modern coaches. 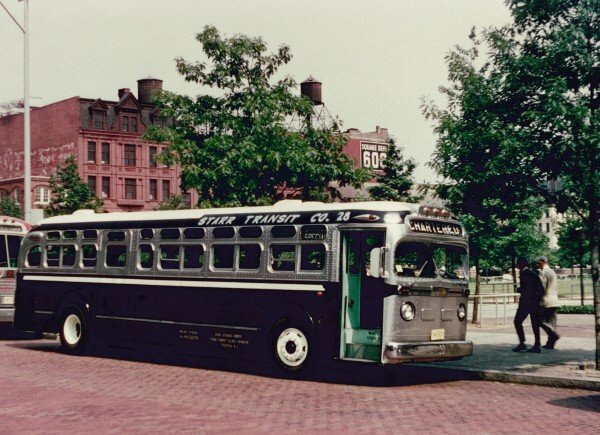 Tours for groups and individuals were introduced in the 60s with the New York World’s Fair and several new and exciting long distance vacation and sightseeing bus trips. In 1969, Gilbert Sussman, Starr’s founder passed away and the business was eventually taken over and run by Gil’s son-in-law, Alan Glickman and Gil’s son, Mitchell Sussman. 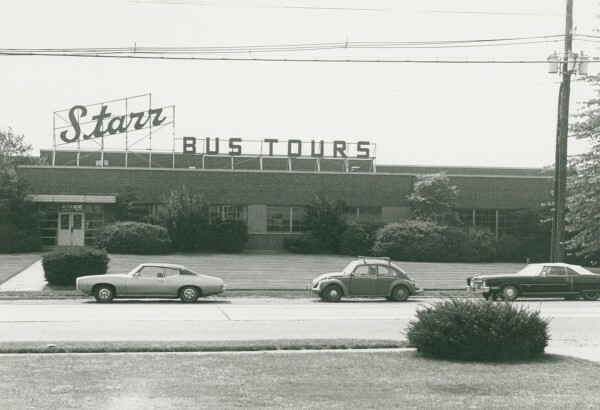 When Atlantic City casinos revolutionized the motorcoach industry in the late seventies, Starr was the leader and its fleet grew larger. The 80s and 90s gave Starr travelers more than motorcoach transportation with the introduction of fly and cruise vacations. Starr quickly became one of the largest operators of daily excursions and vacation trips in the United States. In late 2008, after 60 years, the decision was made to drop the “Tours” off the name and be formally called “Starr.” This was exciting as our company name finally matched the name that travels millions of miles on our coaches each year. Additionally, at this time, Starr was thrilled to consolidate both the Trenton, NJ Tour and Transit divisions into a newly renovated headquarters. This merger allowed our team to strengthen communications and execution to provide the best travel product. In 2015, Starr was awarded the coveted International Motorcoach Group (IMG) Operator of the Year. IMG operators nominate companies that they believe represent the core values of IMG – customer service excellence, commitment to safety, maintenance and training plus participate actively not only in IMG but the wider motorcoach industry. Recently, Starr announced their purchase of Seniortours. Since 1978, Seniortours has earned its reputation as a nationally known packaged tour operator in the active, mature adult travel space offering a complete line of deluxe escorted vacation packages with destinations in the United States, Canada and abroad. The acquisition provides Starr with the opportunity to geographically expand its customer base of motorcoach tour travelers, Travel Agents, and Community Group Leaders in the central and southern New Jersey regions. Today, Starr is one of the largest family-owned bus companies in the United States. Alan and Renee Glickman along with Peter and Sandy Borowsky, the Glickman’s daughter and son-in-law operate the business along with the help of over one hundred valued employees. Now, deep into its 3rd generation, Starr continues to serve the mid-Atlantic states with the highest level of service in the travel industry. Starr Transit Co., Inc. is a major regional full-service transportation company, offering all phases of tour and travel services, such as, group bus charters and tours, public bus tours, and other related services. Starr is responsive to a wide variety of transportation requests during all four seasons and believes that a safe and professional approach to bus transportation is the hallmark that its reputation stands on and the guiding light for future success. Passenger safety is our top priority, period. Safety always comes first at Starr (we can’t emphasize this enough). Starr’s motorcoaches, drivers, and operations department are held to the highest possible standard and undergo the most rigorous training and regular re-training. You are always in the safest hands possible because at Starr, Safety is our “way of life” – we live it every day. Starr’s long-range plan is to continue to be a leader in the bus tour and charter industry, offering safe, top quality services, while functioning in an ethical and professional manner. Starr’s customers, staff, industry partners and local community are its life-blood and are critical to Starr’s success and longevity. Starr is a proud member of the International Motorcoach Group, American Bus Association, the National Tour Association, Pennsylvania Bus Association, Greater New Jersey Motorcoach Association, and Student & Youth Travel Association. Starr’s Chairman and CEO, Alan Glickman sits on the Board of the American Bus Association and chairs the ABA Safety Council. Starr’s President, John Gillispie, sits on the board of the Greater New Jersey Motorcoach Association. Sandy Borowsky, VP Tours, sits on the board of the Pennsylvania Bus Association. Shane Lauler, VP Sales, is an active participant in the International Motorcoach Group’s Focus 25 group. Starr and its affiliated operations are positioned as industry leaders providing charter transportation, tour service, convention shuttle service, and transportation fulfillment. Starr drivers continue to be the safest and best-prepared professionals in the motorcoach industry. Starr’s staff of experienced Tour Directors provides valuable information and organization throughout every tour we offer. Starr professionals are willing and able to help and assist whenever and wherever possible. Our fleet of 40 deluxe Prevost H-45 motorcoaches are each equipped with PA system, restrooms, DVD player, video monitors, reclining seats, WiFi, and electrical outlets. We also offer ADA compliant buses to meet the needs of our passengers. Starr’s motorcoach fleet is one of the finest and most modern available. Starr’s maintenance team is second-to-none and provide the best service to Starr vehicles as well as vehicles from over 50 different companies. Starr is always looking into the future and has partnered with Rally to grow the overall motorcoach market by offering technology for crowdsourced transportation to events like Rallies, Concerts, Sporting Events, and much more. As the 4th Generation begins to work at Starr (albeit on a summers-only time frame while the kids are still in school), Starr ownership is dedicated to providing safe, comfortable, professional motorcoach transportation throughout the mid-Atlantic states and beyond.